After nine hours, the bus pulled into the Cruz Del Sur Trujillo station at 8:30AM. 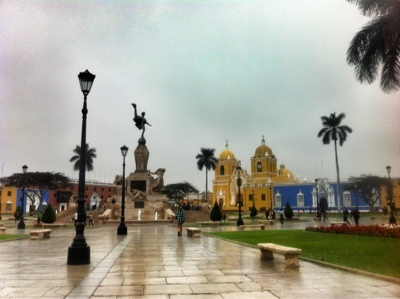 I was staying the night in Huanchaco, a beach town with a mellow vibe located 15-20 minutes away from Trujillo by taxi, but wanted to explore a little of Trujillo - the culture capital of Peru - before heading out. At Plaza de Armas, I found myself one of the few people who were up and about. 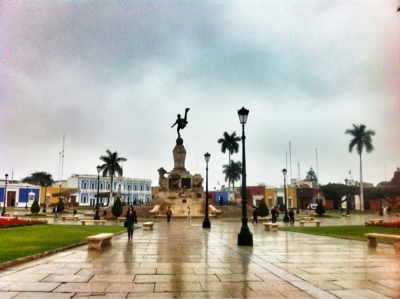 Lined by colonial and republican styled buildings, the square's centerpiece is the Freedom Monument. This sculpture symbolizes Trujillo's process of independence from Spain in the early 19th century. It was in the square where the initial declaration was declared. With such historical significance attached to the square, I was surprised to find a number of casinos within a minute's walk from the square. Right next to the casinos is, conveniently, a bank. It was approaching 9AM, but all the nearby stores and cafes were still closed. Except McDonald's. After walking around several blocks on each side of the square with no luck in locating an open cafe, I reluctantly headed into McDonald's, where Rhianna was declaring her love for whips and chains over the speakers. 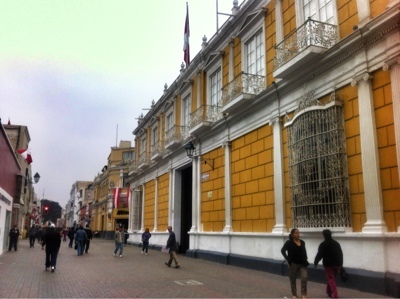 Once caffeinated, I took another walk through the Historic Centre of Trujillo. After a while, I needed to get out. I hailed a taxi and asked to be taken to Huanchaco for 12 soles (~$4.5 USD). 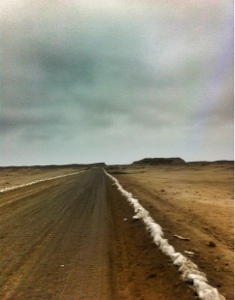 At one point as we approached Huanchaco, the driver asked if I had money. Assuming he meant if I had money to pay for the taxi, I said yes. The next thing I knew, he pulled into a gas station and turned around with his hand out. I gave him a "you're an idiot if you think I'm going to give you money for gas" look and told him I wasn't going to pay. 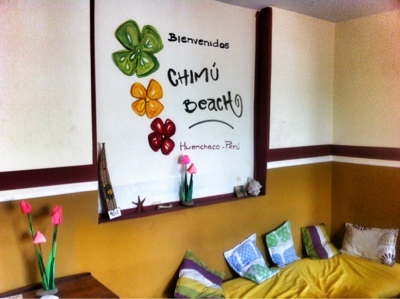 Once settled at Chimú Beach Hostel, where I was apparently the only guest, I grabbed a chocolate torta and hopped on one of the collectivoes (basically minivan like vehicles that try to sandwich as many people in as possible) for 1.5 soles (~$0.55 USD). 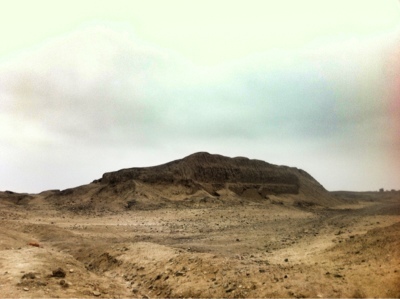 Fifteen minutes later, I hopped off at Chan Chan, a UNESCO World Heritage Site and the largest adobe city in the world. It's also South America's largest pre-Columbian city, spanning 7-8 square miles. At the entrance, there's usually a taxi waiting to take you to one of the subcities of Chan Chan. Since it was only a couple hundred meters in, I decided to go for the 30-40 minute easy walk. 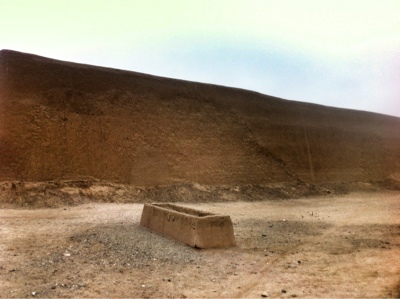 Along the way, I passed by former mud-brick structures that now look simply like mounds of dirt. 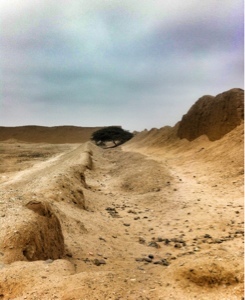 Hit by centuries of wind and rain, Chan Chan is an endangered site as many of the city's structures are fast eroding. When I arrived at the subcity, I had made up my mind to bypass the site. 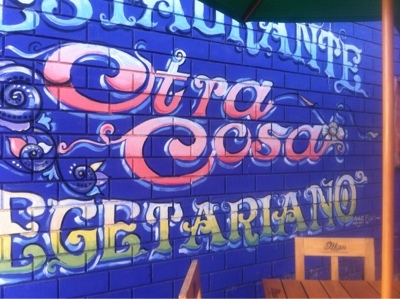 Back in Huanchaco, I found a little vegetarian restaurant at the end of the beachfront by the name of Otra Cosa. 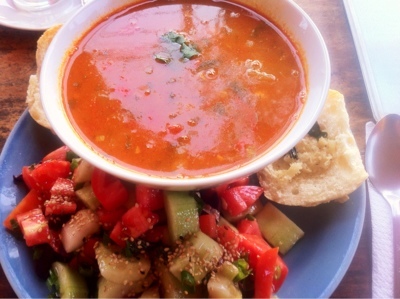 Having eaten nothing but unhealthily, I figured it was time for a healthy meal. 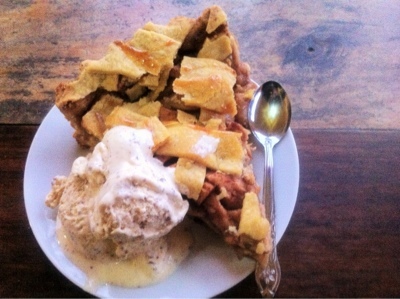 For 26 soles (~$9.6 USD), I got a glass of hot chocolate, a huge bowl of chick pea soup and a salad, and a Dutch apple pie with ice cream. 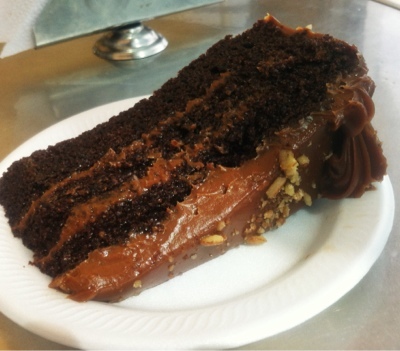 It wasn't cheap by Peruvian standards, but nothing much was cheap in Huanchaco. 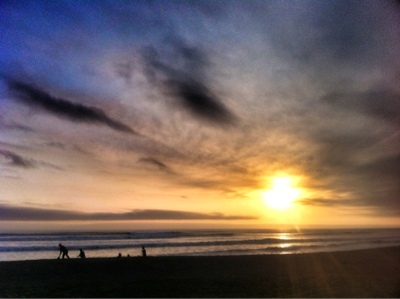 However, it was delicious and gave me an excellent front row view of the sun setting over the Pacific Ocean.